During our Native Madrid Food Tapa Tours, our customers sometimes ask us what the typical Madrid food tapa is, and the answer is none. They are usually puzzled with this answer, so our guides give them the historical run-down and explain the two only typical plates that Madrid is actually famous for, which, we do not even taste in our Madrid Tapa Tours because they are not tapas at all, they are in fact a stew and a sandwich. Yes, typical Madrid food is a stew and a sandwich! Madrid is in the center of Spain, a melting-pot due to the amount of migration from all regions of Spain, especially in the last century. Madrid offers some of the best Spanish Restaurants Spain has to offer because of this. Each Region in Spain is famous for a type of tapa elaboration style, for example, the South of Spain usually offers deep-fried fish tapas, the West and South Central part of Spain is famous for their pork derivative tapas food, the East of Spain is famous for its rice plates, the North of Spain is infamous for their Pinchos. Madrid has absorbed the best tapa food Spain has to offer, you are in the best city for tapas! Although Madrid does not have a coast, it receives some of the freshest fish and seafood from all over Spain on a daily basis, some fish is actually flown directly by airplane! 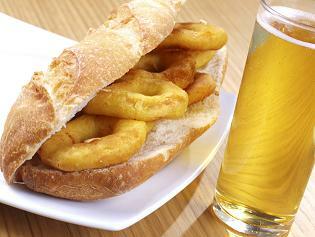 So yes, the “bocadillo de calamares” is a sandwich raised and adored by Madrileños. The second and last typical Spanish food from Madrid is the “cocido Madrileño” or “Madrid-style stew“. It is usually eaten in family or friend get-togethers. It is quite abundant and hearty with a variety of vegetables, meats and chick-peas, it requires a posterior “Spanish Yoga”, or nap as we call it here. 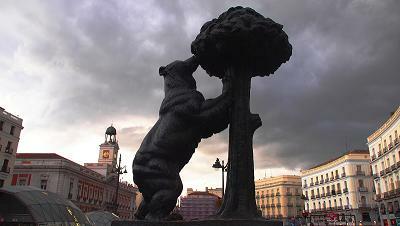 Join us for the best Historical Tapa Tour in Madrid! ← The Best Region for Tapas in Spain is…?